Does 0-100 km/h in just 4.9 seconds. 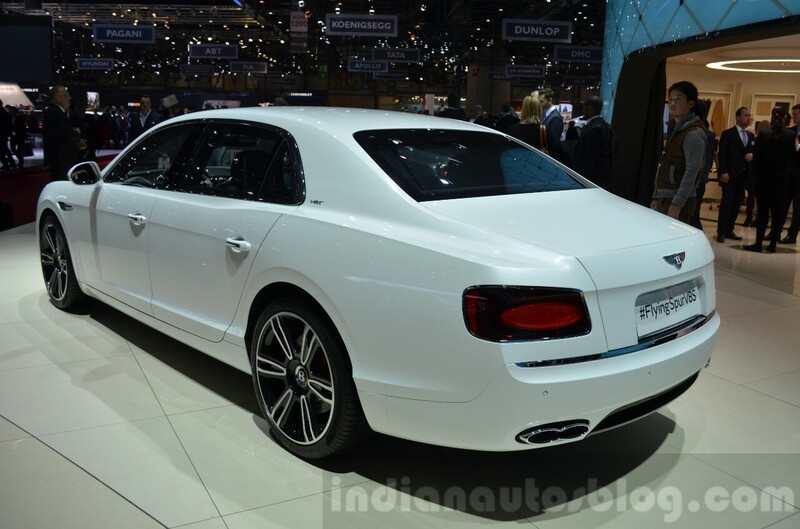 The Bentley Flying Spur V8 S, presented today at the 2016 Geneva Motor Show, is positioned between the Bentley Flying Spur V8 and the Bentley Flying Spur W12. On the outside, the V8 S model is recognized by a black-finished matrix grille, V8 S badging on the rear haunch, 20-inch open-spoke painted wheels and Beluga gloss rear diffuser. Dark-tint lights (front and rear), black gloss exterior mirror covers and a distinctive Mulliner Driving Specification 21-inch black and bright, machined six-spoke wheels are available optionally. Inside, the Bentley Flying Spur V8 S features a three-spoke sports steering wheel, Piano-black wood veneers, a knurled gear lever and gear shift paddles. Two-tone seats with a contrasting roof centre bow and V8 S headrest stitching round up the interior details. 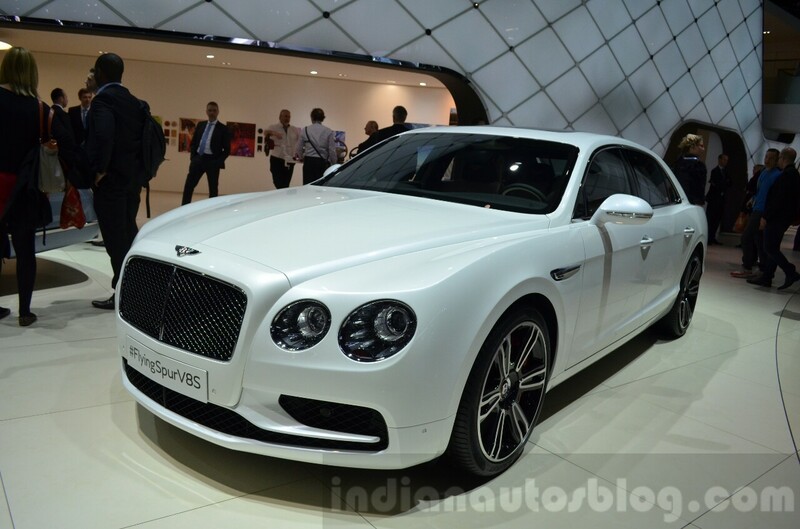 The Bentley Flying Spur V8 S is propelled by a 4.0-litre twin-turbo V8 petrol engine that develops 528 PS (521 bhp/388 kW) and 680 Nm (502 lb.-ft.) of torque. The V8 S model does 0-100 km/h in 4.9 seconds (0-60 mph in 4.6 seconds), 0.3 seconds quicker than the V8 model, and hits a top speed of 306 km/h (190 mph). With a full tank, the V8 S model can be driven more than 837 km (520 miles). Combined fuel economy and CO2 emissions figures are rated at 9.17 km/l (25.9 UK mpg) and 254 g/km respectively.